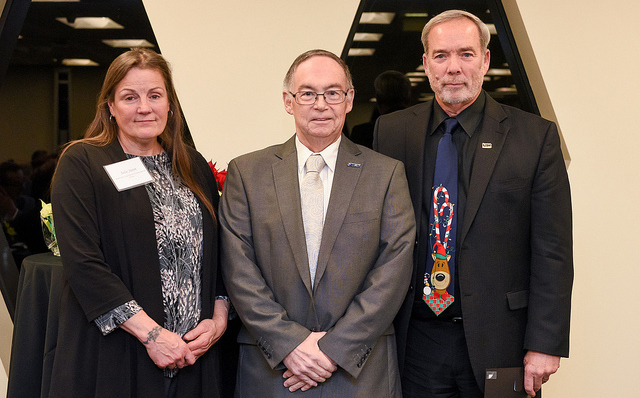 At the USW's ceremony last December honoring the 2018 USW Jefferson Award winners, International staff and district directors surprised Marc Scott, the USW 2018 Champion Volunteer from Steelworkers Organization of Active Retirees, with a donation of more than 200 young adult books for his program "Olivia's Books." Last year, Scott won a National Jefferson Award for starting the Olivia Scott Foundation in honor of his 17-year-old daughter who passed away from cancer. One of the Foundation's projects, “Olivia’s Books,” gives books to teens receiving treatment at Children's Hospital in Pittsburgh. International and district staff members purchased brand-new books from an Amazon wish list full of popular titles from the young adult genre to donate to Scott’s program. 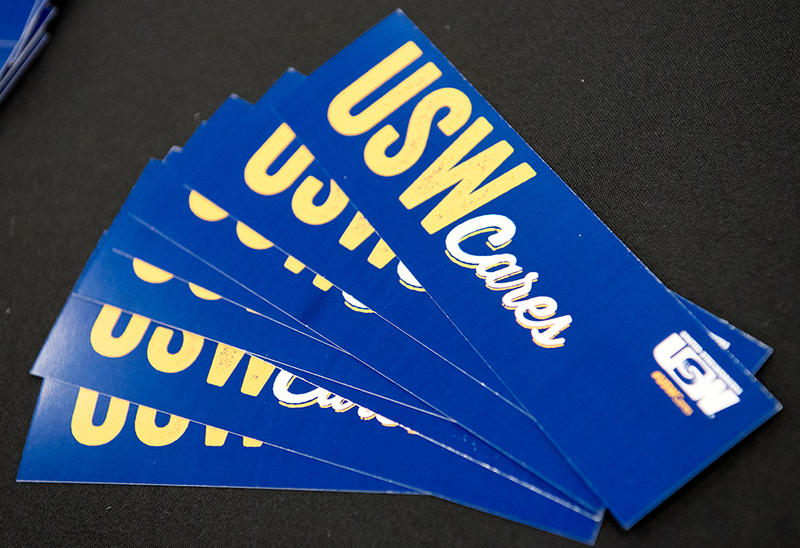 Ceremony attendees, including Vice-President at Large Carol Landry, Vice-President of Human Affairs Fred Redmond, the 2018 USW Jefferson Award winners and district directors, wrote “care cards,” tucked bookmarks into the books, and wrapped each one with a bow before USW President Leo W. Gerard announced the gift to Scott as he was accepting his award from District 10 Director Robert McAuliffe and SOAR Director Julie Stein. Olivia’s Books is one of many programs the Olivia Scott Foundation runs in order to support young patients and their families as they go through life-threatening or life-altering illness or trauma. If you would like to donate a book to the Olivia Scott Foundation, you can purchase off the USW Cares - Olivia’s Books wish list on Amazon and have your donation sent directly to USW New Media (which will deliver the books to Marc Scott): http://usw.to/OliviasBooks.